We have been wanting to stay at Seal Rocks for sometime now, it is 40 km or about a 40 minute drive from the main highway and it is an absolutely stunning location! Picturesque quaint small town which boasts a small general store and a camping ground that is part of the North Coast chain. One of the current deals when you stay at a North Coast campground is that the 7th night is free when you stay at two or more of their parks. 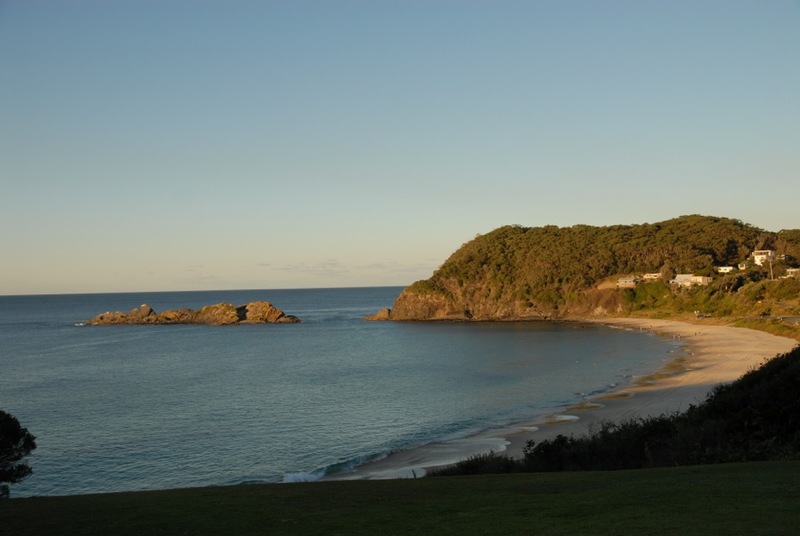 We had one night to pay for and then a free one up our sleeve, so we decided to stay at the Seal Rocks campground. Only staying one night in the end, we didn’t take the the free night as the campground was a stinker! Unfortunately the eco friendly septic seemed to emit a fairly unpleasant odour and it didn’t particularly matter where in the campground you were there was always that waft of effluent lingering around….Seriously we were there in the middle of winter. I can only imagine the smell in high summer. I won’t be going back to find out. So what are you options if you want to stay in Seal Rocks? Well we saw at least 5 free campers in the car park directly opposite the caravan park. Some where staying in large self contained vans and others had small tents pitched next to their car. A pretty good option I would suggest. There is another campground at Treachery Beach, but be warned the road out there is pretty bad easily doable in a 2wd but a very rutted pot holey surface. The camp closes at night and opens again in the morning with gate times of 7am-7pm daily except Fridays, 9.00pm close. We drove out and had a look, it is a nice setting with a walk over a fairly steep sand dune to the beach, pretty little cabins and camping set in the bush next to a swamp. I am guessing mosquitos in abundance during the summer? We also saw that there were limited flat areas for camper trailers, definitely not a location for bigger rigs. There is also boutique accommodation on the hill over looking the beach, I did a bit of looking and couldn’t find anything that would fit into our budget, let us know of any that you are aware of costs. A highlight of staying at Seal Rocks was the Sugarloaf Point Lighthouse, a short hike in with a steep climb, well worth the effort. 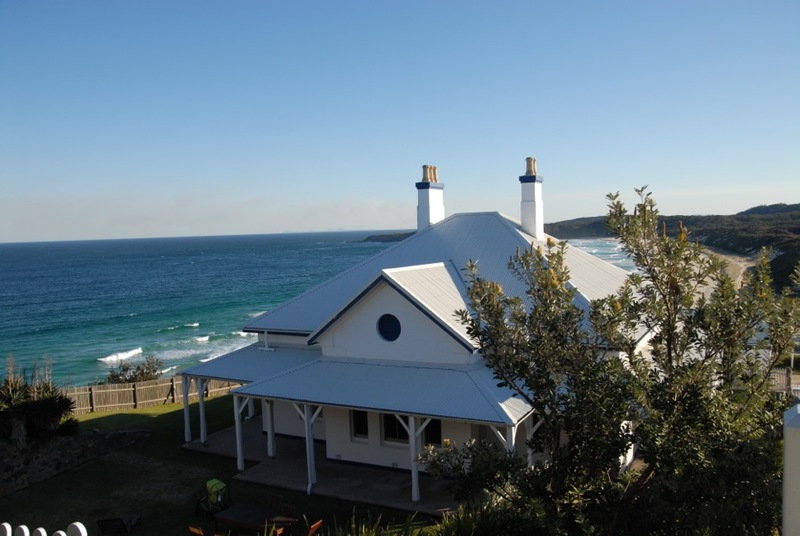 On my list is a stay at the meticulously maintained and gorgeous lighthouse keepers cottage. At $450 a night, with a minimum 4 night stay during whale season, I may have to save for a little longer.